The Rav, a respected authority on shechita (ritual slaughter) also wrote Minchas Sofer a collection of homiletics on the torah. Prior to his position in Cleveland he served as Moreh Dasrah of Scranton, PA and Bridgeport, CT respectively. I have gotten a tip that the late Irving I. Stone who was the son of Jacob Sapirstien of Cleveland, founder of American Greetings is somewhat family affiliated (Dont know either by marriage or through his mother) to Rabbi Schonbrun. 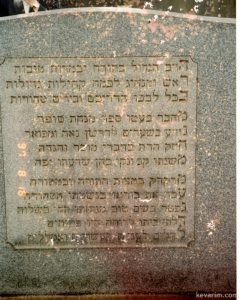 Stone is famous in philantrophy, the Stone Edition of the Artscroll Chumash is dedictaed to his memory, and the Telshe-Stone Village in the outskirts of Jeruslem is also connected to him. Does anyone know the connection between the two families? I am a grandson from Rueven Schonbrun from Beregsaz a brother for Rabbi Menachem Schonbrun. Hi: My understanding of Irving Stone, Zatzal, is that his predeceased wife was a “Schonbrunn”. In regard to Reuven Schonbrunn, he was my father Yosef Schonbrunn’s uncle. Had my dear father survived – he told my dear Mother Sarah (nee Friedman, from Ungvar) that we would all meet at Rabbi Menachem’s home in Shaker Heights, OH after the war. This was not to be of course but I have a copy of a small letter that my father wrote to R. Menachem Schonbrunn during that time. 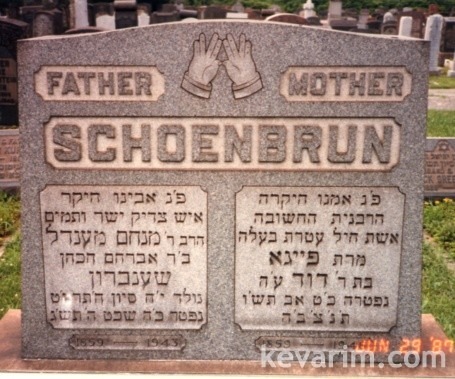 Also, my oldest sibling Judith (Schonbrunn) Knieberg was sent to Cleveland in 1942, the year of my birth, so she survived the war and was zocheh to know R. Menachem the last three months of his life. Rueven if you want to write to me (email) please do so, I’d love to hear from you, here in Eretz Yisroel. My email is: danielle.schonbrunn@gmail.com. Danielle Schonbrunn from Ramat beit Shemesh is my younger sister. She already explained what our kesher is with Harav Menachem Schoenbrun so there’s no need for me to explain again. If I’m not mistaken my grandfather Reuven Schonbrunn was Rav Menachem’s older brother. As for Irving Stone, he married into the family and his daughter Henshe, whom I met a number of years ago, lives in Crown heights where her husband Rabbi Ginsburg, I believe, is one of the rabbis that runs Lubavitch. I am named after Rabbi Shoenbrun’s daughter hensha who passed away in Cleveland ohio in a flu epidemic leaving a husband and four children behind. My mother, Beatrice, was married to Irving I. 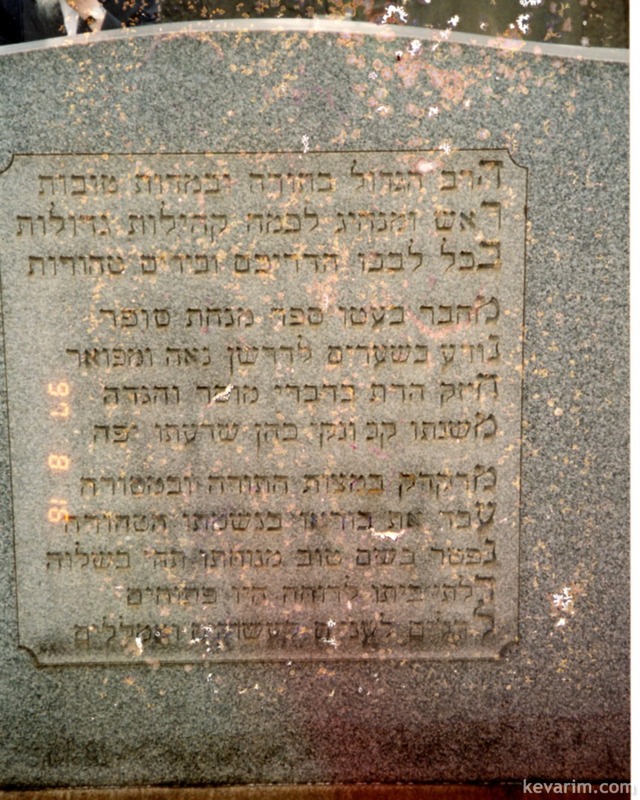 Stone, and was a grand daughter of Rabbi Schoenbrun. She named me after her mother.